Technology is an ever-present feature of our lives, and it plays a significant role in multiple industries. Not just in the obvious manner, either, but in tangential ways as well. One of the main industries that is currently undergoing a “Tech Makeover” is healthcare. Though medical hardware has long played a role in the healthcare industry, Mobile devices, apps, and software are now starting to make real inroads, and they impact the industry in numerous – and sometimes unexpected – ways. 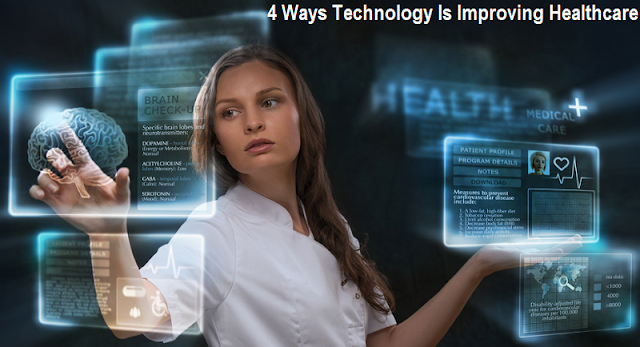 Below are some of the Top 4 Ways Technology Is Improving Healthcare and Medical Equipment’s. Companies like IBM are looking to harness computing power and online medical databases in order to improve treatment and diagnosis, according to a report in Forbes Magazine. In fact, IBM is hoping to leverage its powerful Watson computer – the same computer that famously defeated Jeopardy champion Ken Jennings – to aid doctors in the operating room. The promise of such technology in a healthcare setting isn't hard to grasp. Computers can store more information, and access it more quickly, than the brain, and with little to no margin for error. Combine these capabilities with a rudimentary AI, like IBM's Watson, and you suddenly have a powerful tool at your disposal. A hurdle that all doctors and nurses face in providing treatment is knowing their patient's medical history. A medical record can contain invaluable information about previous treatments and diagnoses that the patient may have forgotten, failed to appreciate the importance of, or simply not known about. And all of these past diagnoses and treatments may impact future care, from providing suitable medical prescriptions to ruling out medical conditions and determining treatment based on this. According to a report in Becker's Hospital Review, only 16 percent of hospitals utilized electronic medical health records in 2009. By 2013, the Office of the National Coordinator for Health Information Technology reports that the number had reached nearly 60 percent in non-Federal acute care hospitals. This growth represents a clear and promising improvement. According to Referral MD, as many as 50 percent of referrals are not received by the specialty care provider. Of course, this results in patients failing to receive the treatments they need. Though in some cases, the referral may have been for an elective procedure or a second opinion, no such assumption can be made for all referrals and all cases. Referrals that go unanswered and which are never followed up on represent a huge oversight on behalf of the industry – and a huge risk to the patient. But this can be improved upon through technology. Communication is key if a patient requires treatment from more than one doctor, and today's digital tools are being designed to help facilitate faster, more accurate, and more personal communication between doctor and patient, and doctor and fellow doctor. Perhaps one of the most surprising aspects about technology's changing role in healthcare is that it has made its way directly to the patient – in the form of healthy living tools. Thanks to advanced mobile technology, like Qualcomm's Snapdragon processor, today's Smartphones, tablets, and smart watches are smarter, faster, and more capable than ever. Whether you want to know how many steps you've walked in a day, how many calories you've burned, or how many calories you've consumed, there is a tool available. And this makes it possible for people to monitor their daily activity easier than ever. Just how prevalent are these apps? According to Digital Trends, they were the most popular downloads of last year. After thousands of years of healthcare being defined by analog tools, digital technology now looks to be the future of the industry.